The TC400 has fully independent channels and deliver simultaneous charging to all four batteries. Based on a capacity of 5600mAh, this particular model delivers a complete charge to a single battery or up to four batteries in approximately 3.5 hours. Responding to numerous user requests, Dolgin Engineering has built a charger that allows you to swap battery plates in the field without a technician, and does not require that the charger be sent in for service when swapping plates. This allows you to swap out plates and charge a different type of battery if you need. You can even mix plates of different batteries on the same charger, enabling charging up to four different types of batteries on one charger. 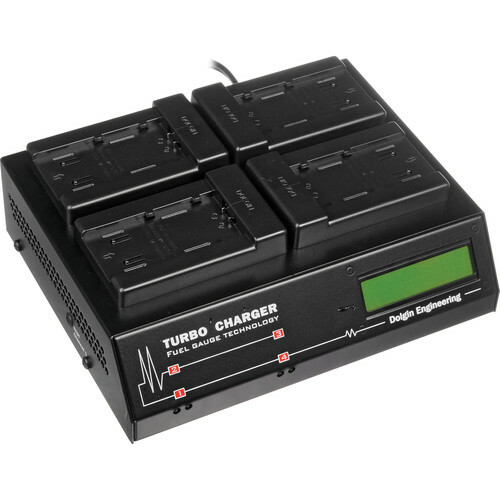 This makes the universal charger a great choice for owner/operators that utilize more than one type of battery.